A puzzling case of roboticide sends New York Detective Elijah Baley on an intense search for a murderer. Armed with his own instincts, his quirky logic, and the immutable Three Laws of Robotics, Baley is determined to solve the case. But can anything prepare a simple Earthman for the psychological complexities of a world where a beautiful woman can easily have fallen in love with an all-too-human robot...? 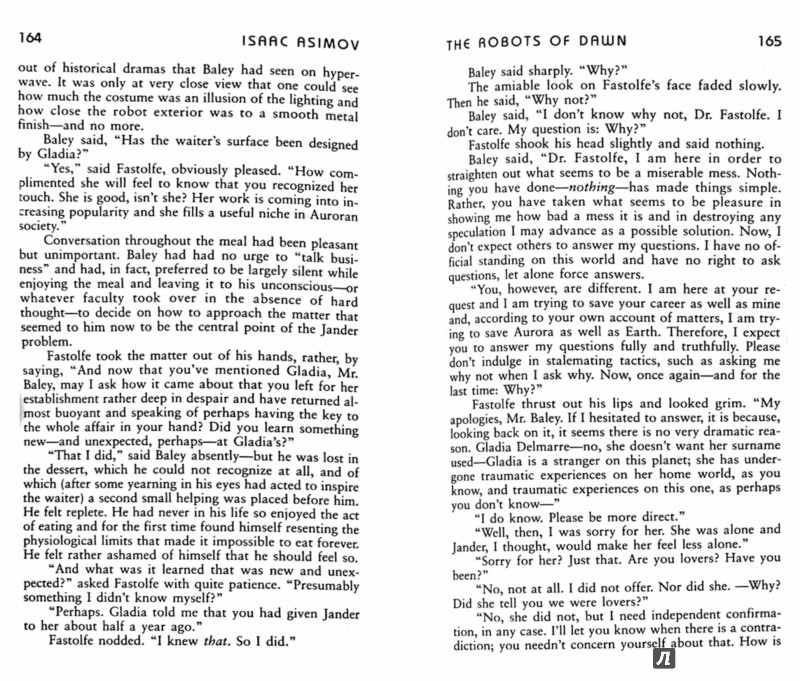 Иллюстрации к "Robots of Dawn"
Покупают вместе с "Robots of Dawn"
"Wodehouse is a tonic" - New Yorker.